The NASA Advisory Council is advising the space agency that its Solar Electric Propulsion project will be best demonstrated collecting geological samples from one of Mars’ moons instead of landing on an asteroid. The recommendation came at the conclusion of its meeting on Friday and involved a unanimous vote. The council's decision is just a recommendation and gives the space agency time to study all possible options. NASA says it is seeking ways to reduce costs and extend its missions into the solar system. 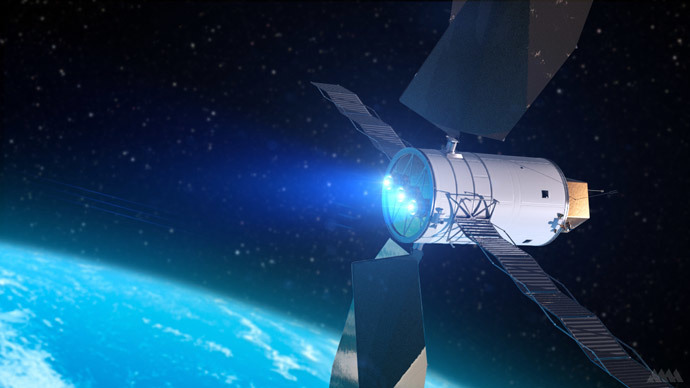 Its Solar Electric Propulsion (SEP) project is creating ways to use a less conventional propellant and make use of the abundant solar energy available in space. One project involves specially designed solar wings that provide high levels of electrical power to the spacecraft. Engineers had to create devices that were "large, flexible, radiation resistant" but "small and lightweight" enough to be folded during launch and unfurled in outer space to capture solar energy. Two designs will undergo testing, "one that folds out like a fan" and "another that rolls out like a carpet," NASA said. To test the project, NASA is considering an asteroid retrieval mission that would send a SEP-powered, unmanned spacecraft into the solar system to collect a boulder off the surface of an asteroid (a project known as ARM) and return to the vicinity of the moon. Many scientists, and many of those in Congress, have been critical of a project that would cost $1.25 billion. "What we really should be saying is terminate ARM, take the $1.25 billion and apply it to technology to get people to Mars. That's the cold hard facts of what were saying," said Thomas Young, former Goddard Space Flight Center, at the advisory meeting. A former space shuttle program manager, Wayne Hale, suggested picking up geological material from one of Mars' moon, Phobos, which measures seven miles (11.2 kilometers) across. The project might have more technical challenges and the mission might take longer, but it would keep the public's interest focused on Mars, he added.